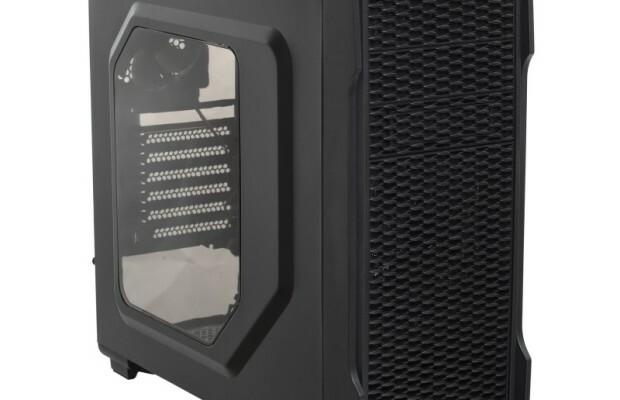 ASRock Taiwanese company is preparing for the upcoming international exhibition Computex 2015, not only motherboards based on socket LGA1151, but quiet and compact computer system BeeBox in several versions. New assembled in a neat dark body with dimensions 110 x 46 x 118,5 mm, which is decorated with glossy inserts. 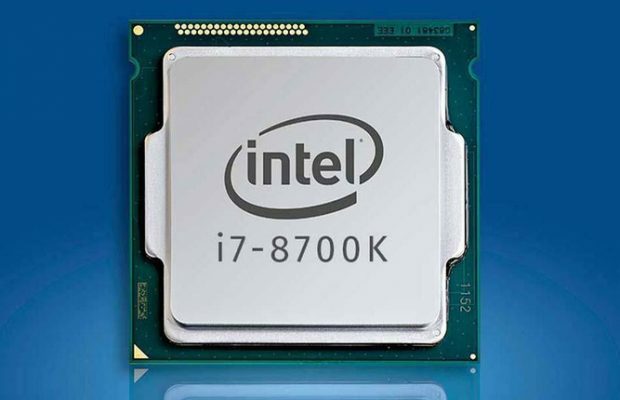 At the heart device manufacturer has provided a series of processor Intel N3000, belonging to the 14-nm generation Braswell, which does not require active cooling. 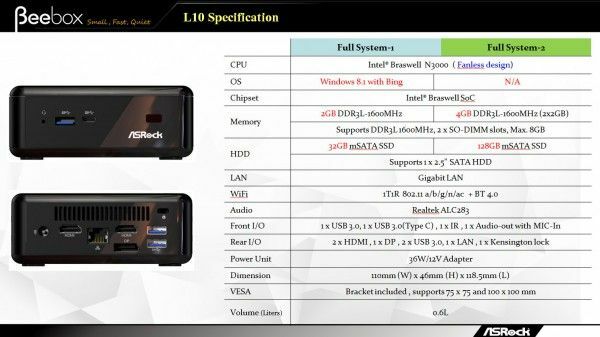 The composition of ASRock BeeBox may include from 2 to 4 GB of RAM DDR3L-1600 MHz SO-DIMM (possible to install 8 GB) and mSATA SSD-drive capacity from 32 to 128 GB, there is a gigabit wired network and the wireless adapter WiFi (ac) + Bluetooth (4.0), audio is represented by a codec Realtek ALC283. At the ends of compact computer future owner discovers four ports USB 3.0, one of which is Type C, video output HDMI (x2) and DisplayPort (x1), audio jack and an infrared receiver for the remote control. 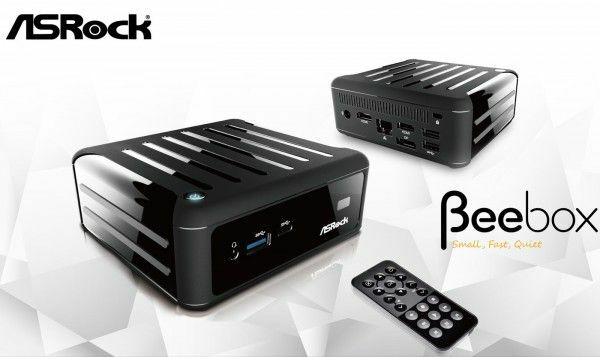 ASRock BeeBox supports VESA mounting 100×100 and 75×75, is available as a free modification of the operating system, and preinstalled with Windows 8.1 with Bing. 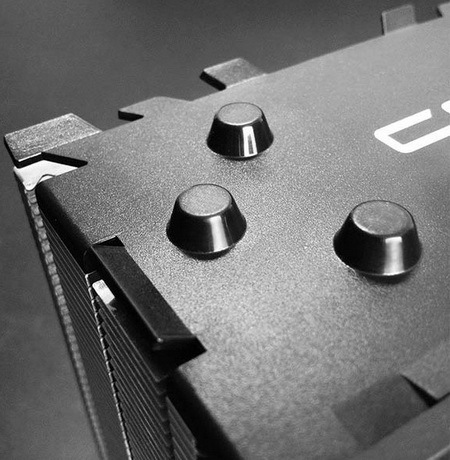 The cost of the manufacturer of the product has not yet been specified.